Depending on which faith tradition stream you swim in, today is a solemn day of reflection, the beginning of a season of prayer and fasting—or not. I grew up in a evangelical tradition that pretty much ignored Lent and focused on Easter. Maybe that’s you, too. Or maybe you have memories of Ash Wednesday that involved a smudge on your forehead and a dose of guilt that was meant to inspire repentance. Or maybe, this season is one of deep meaning, evoked through powerful symbol: the cross draped in purple, then black, the Alleluias silenced for six weeks until Resurrection Day. During Lent, we look to the cross, to Jesus’ suffering, as the source of our hope. What manner of love is this? It is a season of quietness, of profound presence, of love that goes beyond words. It is a season when God’s kindness draws us to repentance. For what could be kinder, more generous, more loving, than this? 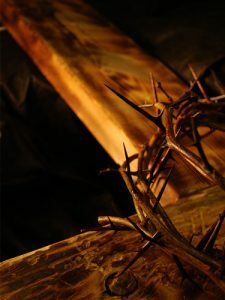 As I mentioned last week, I’d like to invite you into a Lenten study, in which we will engage in spiritual practices and give some thoughtful consideration to this truth: you are deeply loved. Jesus came to earth to love, and He loves you, as if you were an only child. I’ve compared Lent to spring cleaning for the soul. This Lent, it is also spring cleaning for my closet, which has a few extra books in it! So we’ll be giving away a free copy of Deeply Loved each Friday. I’ll post details this Friday. If you’d like to join us, please add your email to the “subscribe” form on the right side of this page, and posts will come to your inbox when I write them. The only emails I send are auto-generated when I post new content here on the blog–I won’t spam you or clog your inbox. Or just wander over at random, if you’d prefer. Or follow me on Twitter where I’ll be posting links and updates. Read one short entry in the book per day. There’s two free sample chapters on amazon. Visit this blog to read an excerpt, or interview, or review and discuss the question I’ll post. (based on the Presence Practice for that day). Each Friday, we’ll hold a drawing for a free autographed copy of Deeply Loved. Share a quote, a question, a thought on Facebook, post a photo of the book or of yourself reading it on Twitter or Instagram, or post on the Deeply Loved Facebook page, then share it with your friends. Since this is the first day of Lent, let’s dive in. Excerpt: Patti and Bruce (not their real names), feeling a tug from Jesus, welcomed a four-year-old foster child into their home. Originally the child welfare organization told them Jonathan would be staying with them and their four other children for about a month. Five months later, after a couple of attempts to place him back with his mother, he’s still living with Patti and Bruce. The process has been messy and complicated. This little boy is sweet, charming, and winsome at times, but angry and confused at other times. So sometimes he cuddles and hugs, but other times he acts out: yelling, scratching, hitting, and even biting. Presence Practice/Reflection: Today, take some time to sit quietly. Invite Jesus to be with you as you let your mind and heart settle down. Ask yourself the question: what does God say when he looks at you? Be still. Let the answer come from the deepest part of your soul. Discuss in the comments: What’s your first reaction to the question, “what does God say when he looks at you?” How would you answer the question, but also, how does even asking it make you feel? Grateful for this Kerry – the content, tone and spirit. Honestly, I understand intellectually that God says good, loving stuff when he looks at me, but I think I believe in my heart that he is really noting my many failures and shortcomings. Probably some shame in there. Working on that. Hope to get at it a bit during this season and today’s reflection really helps! (Will hang onto it).